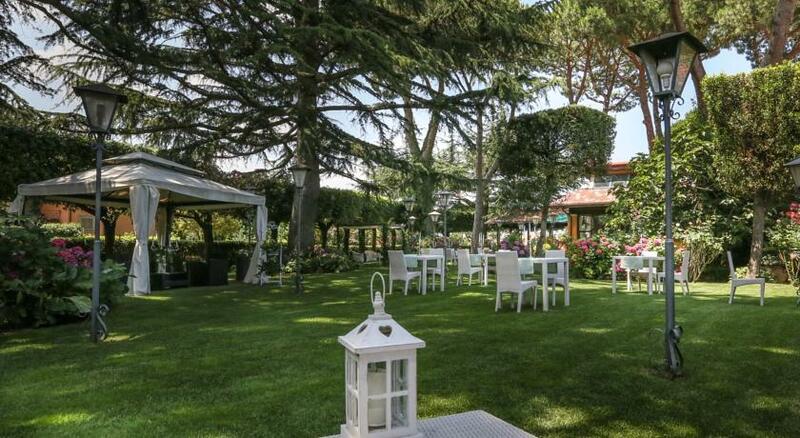 The hotel is a refined, quiet and peaceful inn situated in a country surrounding with a wonderful panoramic view of Rome, a well-kept garden and all the best comforts for a completely relaxing stay. Over the last 40 years, the restaurant has been an ivory tower dining room for capital city history and for international jet setters. The evening sunset enraptures the city of Rome soft and mellow on an exquisite horizon, which is the perfect complement. This unique position at the summit of Grottaferrata, offers a dining room immersed in lush vegetation with an excellent panorama, which on serene days boasts a breathtaking view of the sea.